We aim to dispatch goods the same working day if ordered before 11:00 a.m. with the exception of select electronic bingo machines that are ordered direct from the manufactures. Where time scales are given for delivery, please use these as a guide only as they are not guaranteed services, refunds/discounts will not be given for delays. Whilst we try to keep stock up to date, some stocking errors may occur due to Manor Press Ltd. having both online and offline sales, if an item is not in stock we will contact you ASAP to advise a time scale or offer a full refund. You are also welcome to contact us prior to placing an order to check stock levels on 0114 269 5755. We can also accept Cheques (payable to Manor Press Ltd.) & BACS Transfer, for customers that do not wish to place orders via our website. Returned/declined cheques will incur a £12 (per cheque) charge to cover banking fees and administrative costs. Goods will not be dispatched until full payment has cleared, unless prior agreement has been acknowledged and accepted by an appropriate member of Manor Press Limited’s staff. If you are not in when your order is delivered a card, email or text message will be left, please contact the delivery company to re-arrange delivery, if you do not arrange a new delivery your order will bounce back to Manor Press Ltd. and you will be required to re-pay the delivery charge to resend. Your telephone number and/or email address will be passed on to the courier service to give them the best chance of delivering your order on the first attempt. Please check your delivery address carefully if your order bounces back to Manor Press Ltd. you will be required to re-pay the delivery charge to resend. If you require your order leaving in a secure location i.e. leave in porch or shed or with a neighbour, please be aware that once the courier has left the parcel it becomes your responsibility, Manor Press Ltd. and the courier service will not be held responsible if the parcel or contents go missing or are damaged in any way. We can not post orders to PO Box addresses. Please contact us in writing ASAP to report damaged items or goods that you wish to return prior to returning the goods. If an item is damaged please provide a detailed description and clear photos of the damage. Goods must be returned to us within 30 days, using an insured and signed for service. All shipping and packaging costs incurred for returning non-damaged goods are to be at the customers own expense and will not be refunded. Following the Distance Selling Regulations, we will accept items back even if you have opened the goods to inspect them. You are entitled to a refund as long as you return your goods within 30 days from the day after delivery. The goods must be in an ‘as new’ condition and returned in the original, undamaged packaging, along with any accessories and free gifts received with it. The product must not have been used. Whilst the goods are in your possession you must take reasonable care of them and not use them. Security sealed packs must still be sealed. All of our electronic bingo, raffle, multifunction, dart & snooker machines come with a minimum 12 month manufacturers guarantee. This cover will protect your machine in the unlikely event of manufacturers defects, this does not cover accidental damage (dropped, spillages, etc.) or acts of nature (flooding, power surge, etc.). DO NOT Attempt to fix the machine yourself, this should be done by trained staff only, tampering will void your guarantee. Non electrical goods are covered for 6 months from invoice date for manufacturing defects, excludes wear and tear, loss of parts or usage i.e. ink running out of a dabber. Please note: The carriage costs are at the customers expense and will not be reimbursed. No information given to Manor Press Ltd. when placing an order will be sold to third party providers. Your credit card details maybe stored with WorldPay or PayPal please refer to their own individual terms & conditions. Manor Press Ltd. will only receive your contact details and order details. For orders that are to be dispatched direct from the manufacturers Manor Press Ltd. will only provide the manufacturers with your delivery details and relevant information relating to the goods. We will store both digital and hard copy details about you and your company for future records including your name, business name, address & contact details and any files that we have designed for no less than 6 years (subject to file corruption i.e. hard drive failure). This is in order to produce re-prints of past orders and for our financial records. We may also use your information to contact you regarding offers, products or important changes relating to Manor Press Ltd. You may opt in to this service at the checkout when placing an order. You can opt out of this service at any time in writing. include accountancy services and shipping/courier services. 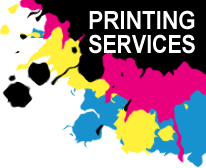 Print Shop: Manor Press Ltd. may use whole or part of your design or completed order for marketing purposes or as samples, both online and/or over the counter. If you do not wish us to use your designs either as a digital image or a hard copy for marketing and/or samples please ask to opted out either on your order form or in writing at any time. We do not monitor or review the content of other party's websites which are linked to from this website. Opinions expressed or material appearing on such website’s are not necessarily shared or endorsed by us and should not be regarded as the publisher of such opinions or material. Please be aware that we are not responsible for the privacy practices, or content, of these sites. Please note that all text, photographs & images used on this site are copyright to Manor Press Ltd. and should not be used without permission, failing to gain permission prior to use will result in fines. All photographs are to be viewed as a guide only, colours may vary from the photo to the item you receive, some images may not be to scale. Please note that all sizes are approximate and may vary slightly due to the manufacturing process. Example profit calculations are to be used as a guide only and exclude the cost of your goods & P&P as this may vary depending on the quantity you order. Neither party shall be liable to the other for any failure to perform any obligation under any Agreement which is due to an event beyond the control of such party including but not limited to any Act of God/Nature, Terrorism, War, Political Insurgence, Insurrection, Riot, Civil Unrest, Act of Civil or Military Authority, Uprising, Earthquake, Flood, Snow or any other natural or man made eventuality outside of our control, which causes the termination of an agreement or contract entered into, nor which could have been reasonably foreseen. Any Party affected by such event shall forthwith inform the other Party of the same and shall use all reasonable endeavours to comply with the terms and conditions of any Agreement contained herein. Manor Press Ltd. reserves the right to change these conditions from time to time as it sees fit and your continued use of the site will signify your acceptance of any adjustment to these terms. You are therefore advised to re-read this statement on a regular basis.